The Hofer family farms vineyards in Auersthal, a dead-still little wine village in the Weinviertel, just barely beyond Vienna's northern suburbs. The gently rolling hills in in this village are made up of deep loess soils and are planted predominantly to grüner veltliner, in addition to some zweigelt and riesling. Additionally, the Hofers grow organic grains; rye, barley, and alfalfa. These grains are raised for consumption, and are used as cover-crops in their vineyards. There was a time when only a small amount of wine was produced at the farm of Hermann Hofer's parents, but the quality was worthy enough to motivate Hermann to increase production and begin making top-quality wine. 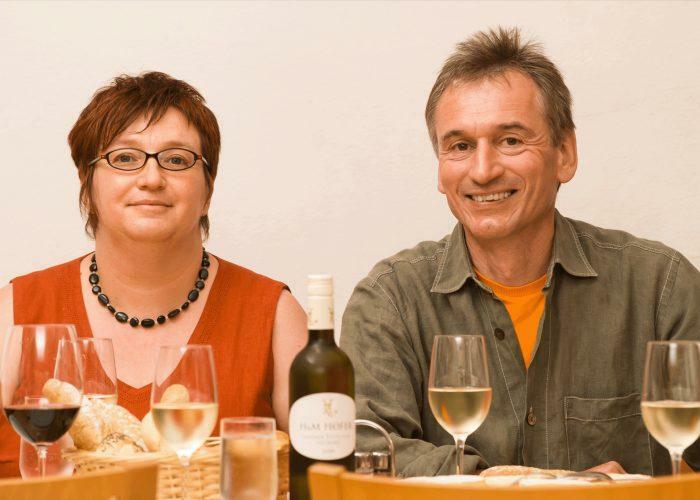 Hofer has been making wine since the early 1980s and has been certified organic since 2001 by the group Bio-Ernte, whose standards exceed EU guidelines for organic grape growing. It is rare to find such high quality wines farmed with such attention and responsibility, especially in the Weinvertel, Austria's largest growing region and home to many commodity-wine producers. In the cellars at Hofer grapes are de-stemmed, macerated for only a short time, and then vinified in stainless steel with the goals of typicity and freshness in mind.